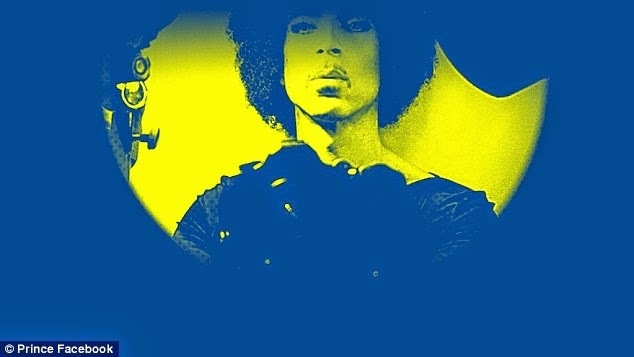 He's known for being quite reclusive despite his legendary status as one of the biggest music stars in the business. 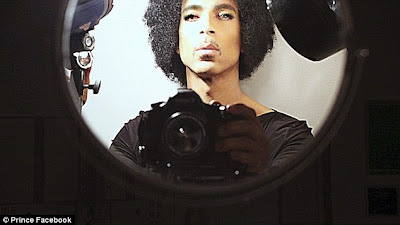 But even Prince couldn't resist the allure of social media as he shared his first official selfie on Tuesday. He also included another pic of the same image but with a blue and yellow colour filter applied to give it a slightly psychedelic effect. His act of self-promotion comes less than two weeks after a history-making performance on Saturday Night Live. The Purple Rain hitmaker played an eight-minute medley of four songs from his two new albums Art Official Age and PLECTRUMELECTRUM. 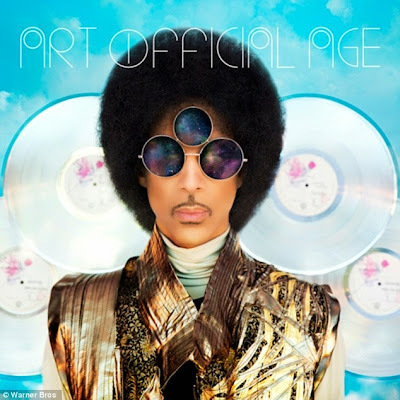 Included in the mix were the songs Plectrumelectrum, Anotherlove and Marz from Plectrumelectrum with Clouds from his Art Official Age album. 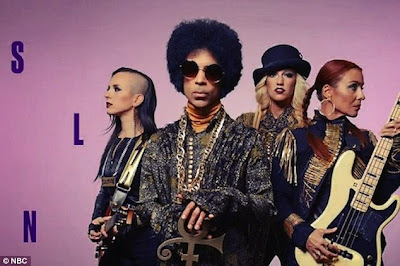 Taking the stage with his backing band 3rdEyeGirl and guest vocalist Lianne La Havas, the singer set the record for the longest continuous performance in SNL history. Following the epic television appearance, Prince threw an intimate after party at trendy Manhattan lounge Butter. According to the New York Post, the When Doves Cry singer and DJ Kiss played a mix of R&B songs from the '70s and '80s as well as tracks from his two new albums. 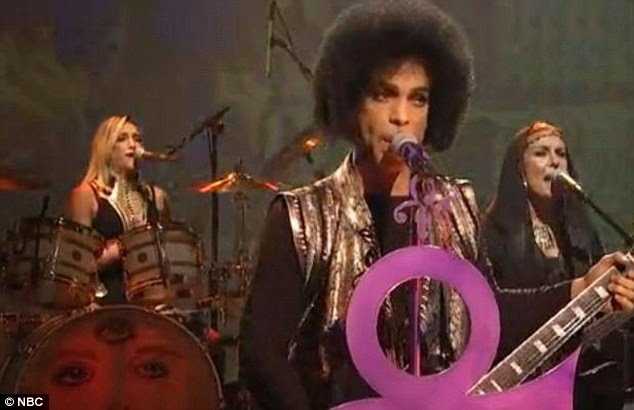 The late-night soiree didn't get going until the wee hours with Prince holding court until sunrise. A source told the publications: 'At 6 a.m. he was still dancing.